“Where the word of a king is, there is power; and who may say unto him, what does thau?” (Eccl. 8: 4). When you talk, choose the very same words you would use if Jesus were looking over pour shoulder. Because He is” (Marie T. Freeman). See ODM Testimonies. Go through Daily Manna Testimonies: “THE FINGER OF GOD“. “2018, my year of decoration, is here and shall be decorated by fire! In this year 2018, my decoration year, my life, family and ministry shall be beautified with blessings and favour of God. This year 2018 is my year of CHANGE –OF- GARMENT YEAR as Elisha did at Jordan! The old garment of sin, shame, disgrace, failure, reproach, disappointments, frustration, depression, etc, shall catch fire DAILY and burn and the GOD OF DECORATION shall DECORATE me with a NEW GARMENT of uncommon good health, marital settlement and peace, all-round success, prosperity, favour, open doors, unthinkable, breakthroughs and faster progress. TODAY AND INDEED THIS YEAR 2018, THE LORD SHALL visit and DECORATE my FOUNDATION! Harvest eaters shall vomit my portion in the land of the living and evil hands must wither and dry up by fire. This year, those that hate me must seek me to do me good! HATE shall turn to LOVE! Because I shall be decorated this year, I SHALL DANCE MY DANCE AND SHALL SING MY SONG. Moreover, because of my decoration party this year, men and women shall dance with me! The Lord will open for me a book of remembrance. Those who forgot me in the past will remember me this year. TODAY, AS I GO OUT, untold doors of blessings and unbelievable breakthroughs shall continually be opened for me. Because I SHALL BE DECORATED THIS YEAR, I SHALL SHINE and my path shall shine brighter and brighter on a daily bases. Errors and mistakes that will lead to my demotion shall pass over me. Satan shall be disappointed concerning my life, family and ministry as he cannot perform his enterprise, plans, agenda, and strategies over and against my life this year! TODAY, the wickedness of the wicked shall become their waterloo! The wisdom of God will operate in me for my benefit and advancement. NEW IDEAS ARE COMING UPON ME THIS DAY! AS I STEP OUT TODAY, GOODNESS and MERCY shall follow me and my land shall yield her increase for me and my household. SUPERNATURAL STRENGTH and DIVINE SPEED shall locate, pursue, overtake and manifest in every area of my life and ministry! Satanic arrows of premature death, bad luck, sickness, setbacks, accidents, disappointments, laboring without favour, bad news, rising and falling, failure and stagnation, etc, are not my portion in this year 2018. I shall not be ridiculed; my 2018 dreams shall come to manifest! Next Post:Daily Manna For Champions May 21st 2018 – NONE MEANS NONE! The Lord is your strength (Psalm 28: 7, Nehemiah 8: 10). 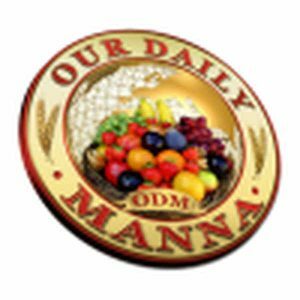 ODM Daily is always there to guide, direct, encourage, and make you see reasons why you should’t give up in that state of fear. Keep engaging in the daily devotional reading which will enhance your strength in Chris Jesus, remember it is not over until you become a winner, and even at that, always hold on and you will live to testify. The Lord is your strength, stay blessed. DUE TO COMPLAINTS ABOUT WEEK DAYS, DR. Thank you sir.im happy to be a member of ODM and also partaking the 14th days FnP .sir i have been waiting for a contact that will change my life but i think there is power battling with me. …I NEED YOUR PRAYERS. Please pray for my friend “Theresa Ardo” who is very sick and In the hospital. Please pray that she gets her healing. Thank you very much, may God bless you abundantly as you take out time to pray. Amen. May God continue to increase His annointing on you sir. God has been using ODM to fight battles for my family. When ever Satan tries to attack us God will present ODM to encourage and strengthen us. The devotionals of 10th/11thNov 2018 brought my son out of depression and secret anger against God. I appreciate God for ODM vision sir .May God continue to oil it. Stay with God! Walk with God! Move at His place! In the storms of life, ODM is LIFE’S PARACHUTE.Even when the storms seem to rage, don’t panic! Get a word from God before any action! Never move until He moves! Never rest until He rests! Let your hands be in His hands! You will excel! The Lord God Almighty is your strength. Amen!